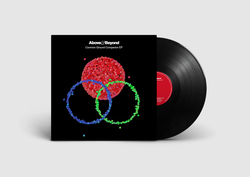 Above & Beyond - Common Ground Companion EP (Vinyl). Vinyl 12. Anjuna Music Store. All vinyl pre-orders include a digital download of the EP from Friday, March 29. This 7 track digital download also includes edits of EP tracks. Providing a counterpart to Above & Beyond’s #3 US Billboard charting album ‘Common Ground’, the ‘Common Ground Companion EP’ adds another chapter to the trio’s fourth studio album. Featuring three tracks (and club arrangements) of songs that informed the Common Ground journey, the release reunites Jono, Paavo and Tony with singers Marty Longstaff and Zoë Johnston. 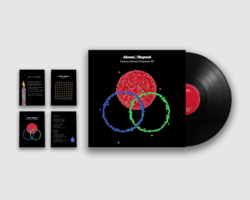 To coincide with the 500th catalogue release on Anjunabeats, the ‘Common Ground Companion EP’ will be available on a limited run of 500 vinyl. The vinyl includes the extended club mixes of ‘Flying By Candlelight’, There’s Only You’ and ‘Distorted Truth’, plus the original mix of ‘Flying By Candlelight’. Included in the package are exclusive packshot & lyric cards.